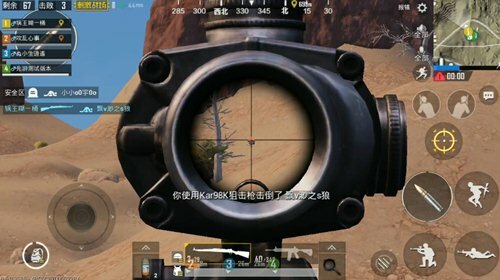 Believe that in “ desperate island ” many players have a deep understanding, pull bolt sniper rifle is called “PUBG Mobile: stimulate the battlefield” in the ultimate weapon. When equipped with high-powered lenses, it has the ability to accurately kill off thousands of miles away. The game’s new map “Passion Desert” once again magnifies the advantages of sniper rifles. What are the reasons? What skills do we need to master? Take a look at the advanced maps of the desert sniper rifle. law. Speaking of Desert Map Sniper Gun Advantage , it would have to mention the characteristics of desert maps. It is well known that “ desperate island ” many shelters, more trees in the mountains, plains and more grass, even in the plains of wheat, players can play “Voldemort” to gain hidden advantages. In desert maps, none of these features basically exist. There are fewer trees and less grass. It is almost impossible to use the tree to evade the damage of the enemy because the tree is smaller than people. If you want to use the grass as a cover, it is basically impossible, because the bare desert is only a little bit of grass, the ground does not exist, as long as you are not afraid of the 98K headshot on the mountain like. “ Passion Desert & rdquo; & ldquo; Desperate Island ” The biggest difference lies in the card position mode and shooting mode changes, especially sniper rifle play. Sniping the enemy in the desert map can be divided into two situations, with a substantial bunker, and no substantial bunker. If there is a bunker, we will not say it. Without a bunker, we will have to “pretend” to cover up. Terrain utilization can be performed to a large degree It provides a good cover for ourselves, and common slopes and depressions are ideally located. If you use 98K, then we can get stuck on the high slope to aim at the enemy and fire. You can pull back the rocker to retreat to the slope and then evade the enemy’s bullets. Until the completion of loading, continue to perform firing operations, which is typical of the use of terrain & ldquo; bunker ”. In the same way, “depression” also has good shielding ability. Compared with slopes in offensive defensiveness, moving control is more likely to be , but it is relatively more afraid. Enemies in the close range, because throwing weapons can be easily thrown into & ldquo; pit “. Therefore, When using such a cover, needs to pay attention to the distance with the enemy and evade the damage caused by throwing the weapon. After talking about topographical use, I’m going to talk about the shooting technique of a sniper rifle in a desert map. Because of the difference between the characteristics , the stationary card point shooting mode has become minimally in the desert map. In order to reduce the chance of shooting in , use attack gun and opponents. When you are on the gun, you need to pay attention to keep a flexible movement. Of course, in order to ensure the stability of the lens, it is necessary to establishThe moment is static, and the mobile home state is restored immediately after the shot is completed. There is also a little trick to pay attention to. When using a single shot, the shot will be closed for a period of time. It will be slightly more difficult to adjust the sight, because the speed of the shot is the same as the open state. Many players will find that they cannot move the camera. Question, after shooting, must be Click the button again to quickly return to the normal field of vision. According to the screen sight, after quickly adjusting the visual field, you can avoid the continuous by opening the mirror again. The difficulty of adjusting the lens in shooting situations. 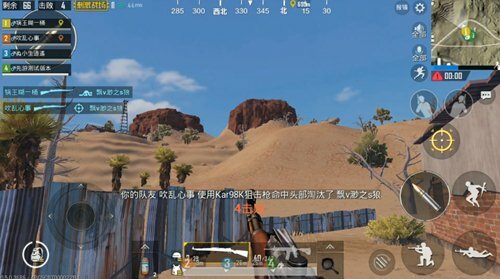 There is no doubt that, due to the characteristics of the map, the desert map is bound to become a paradise for many sniper gun lovers. To improve your rankings in this mode, it is imperative to practice sniping ! 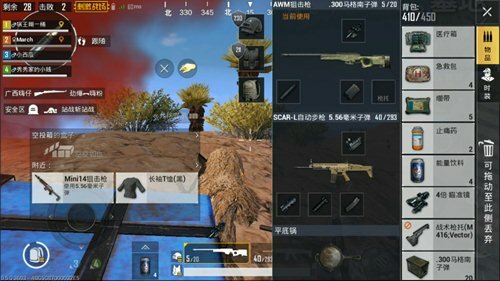 PUBG Mobile guide just gun details, outdoor bunkers know how much the gun! 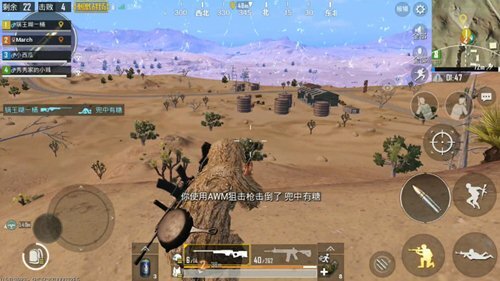 PUBG Mobile guide The difference between a passionate desert and a desperate island!